Halifax, Nova Scotia – As Canadians from coast to coast are feasting on the summer harvest of fresh local produce, many are unaware of an impending crisis facing Canadian agriculture: The average age of Canadian farmers is 54 and while many young people are choosing farming as a vocation, they must surmount many obstacles to make that choice. We need policies and programs that encourage people to make farming their career choice! Food Secure Canada is pleased to see new entrants on the agenda of the Canadian Federation of Agriculture hosted Tripartite Roundtable between federal, provincial and territorial Ministers of Agriculture and industry representatives meeting in Halifax immediately preceeding the FPT meetings. 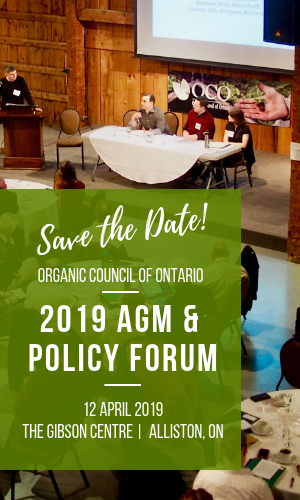 The Roundtable included Christie Young, Executive Director of the organization FarmStart, an Ontario based organization that is fostering the development of a new generation of ecological, entrepreneurial farmers. FarmStart provides Start Up Farm facilities, training and resources, seed capital and mentorship to help new entrants get their own farm businesses off the ground and to thrive. FarmStart is a member of Food Secure Canada, a national alliance of organizations and individuals working towards zero hunger, healthy and safe food and sustainable agriculture, which developed Resetting the Table: A People’s Food Policy for Canada. Diana Bronson, Food Secure Canada, in Montreal: cell: 514 629 9236 or Diana@foodsecurecanada.org.